Yesterday, I laid out how we are heading into winter with the perfect setup for a natural gas price spike. And by “spike,” I mean at least a double, but more likely a triple and perhaps more. For this to happen, all we need is a colder than average winter. That’s because storage levels are already low and history tells us that a cold winter would use up nearly ALL of the natural gas in storage. However, since I’m not a meteorologist, I wouldn’t ever bet my hard-earned money on the always unpredictable Mother Nature. That is why I like Cabot Oil and Gas (COG) going into this winter. This is a company that is going to do very well with current natural gas prices… And really, really well this winter if natural gas prices jump as I predict. This is the kind of low downside, big upside trade that investors should always be searching for. Cabot is a natural gas producer based in Pennsylvania that has a massive position in the Marcellus shale, the most profitable shale gas play in the U.S.
Cabot is really the only kind of commodity producer that a person should ever want to own — a company with a pristine balance sheet and the lowest development costs in the business. Remember, in commodity production low cost wins always — unless that low cost production is attached to a junky balance sheet. Low cost producers make more money when commodity prices are high and can continue to make money when commodity prices are low. High cost producers can make some money when commodity prices are high but bleed cash when commodity prices are low. With both a terrific balance sheet and low cost production, Cabot is a rare producer that can grow production and generate free cash flow at current and even lower natural gas prices. This company is also specifically poised for an unusually large windfall this winter if we do get that natural gas price spike. That’s because Cabot is about to bring a huge increase in completely unhedged natural gas production on stream with the commissioning of the 200-mile Atlantic Sunrise Pipeline. The Atlantic Sunrise will link the Marcellus region along Lake Erie to markets in the Mid-Atlantic and southeastern states. Cabot owns the transport rights to roughly half the capacity on that pipeline which will carry almost 2 percent of U.S. production on a daily basis. That’s enough natural gas to meet the daily needs of more than 7 million homes! 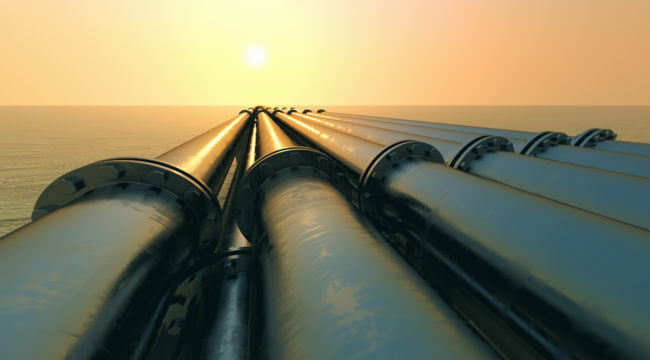 With the pipeline connected, bottlenecks will be removed that have restrained Cabot’s Marcellus production for years which will allow the company to DOUBLE its natural gas production to almost 3.7 billion cubic feet per day by 2020. That is a staggeringly large increase for one independent producer. The initial wave of that production increase will be sold into this winter’s natural gas prices. That means Cabot would have a windfall if natural gas prices do spike. Just imagine the good fortune of having this wave of production released just as natural gas prices double or triple? That is exactly what Cabot may have in front of it this winter. What makes Cabot an even more attractive investment today is that the company does not need higher natural gas prices to do very well. In the company’s most recent corporate presentation, management outlined how the company expects to earn a 9 percent free cash flow yield in 2020 at gas prices lower than today! That simply means that the company expects to generate 9 percent of the its market value every year in hard cash available for buybacks, dividends, debt reduction or even collecting interest in the bank. To get an idea of just how fantastic this figure is, today’s industry average is just 2.2 percent. That means that Cabot shares would have to more than triple to be valued at the same multiple as the company’s peer group. There isn’t much not to like about this company — great balance sheet… low cost production… and on the verge of huge production and cash flow growth. If that happens these shares are going to fly!